For Donough O’Malley, Wine Republic magazine is a dream client. And why not? O'Malley is a UK-based illustrator, while the magazine focuses on travel through Argentina's wondrous wine country. O’Malley has worked for a long list of international clients, including the BBC, Jameson’s Whiskey, Random House, Runner’s World magazine and Sony. And for the past four years he has been creating covers for Wine Republic. 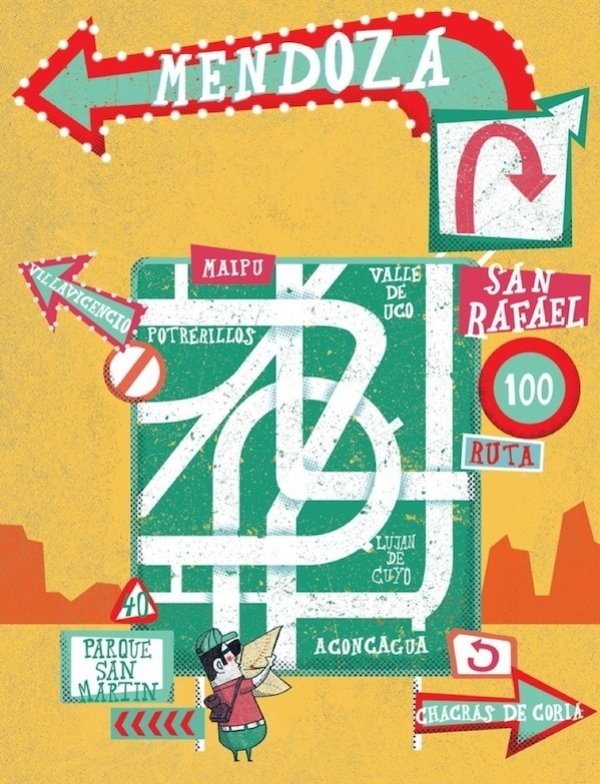 One of those covers — about wine tours of all kinds — was named a winner of the Latin American Ilustracion 3 competition. 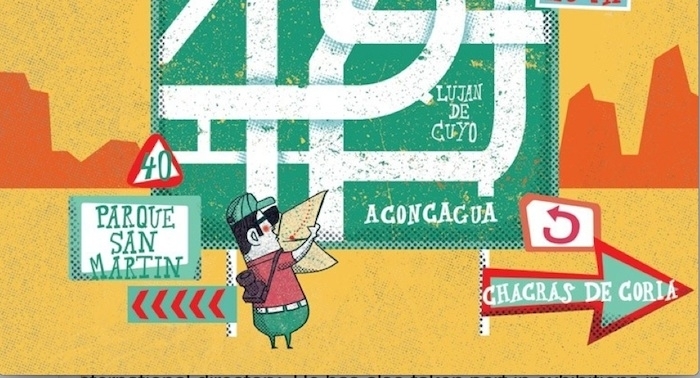 O’Malley, who has traveled to Argentina many times to visit family living there, hit on the idea of a convoluted road sign with direction to places like San Rafael, a city in the southern region of the Mendoza Province, and Aconagua, the highest mountain in the western hemisphere. Confronting the sign is a perplexed tourist struggling to find his way through the vast country. Besides working for commercial clients, O”Malley is the author of Monkey See Monkey Do, a children’s picture book shortlisted for the Cambridge Picture Book Awards. He has seen his work published in Communication Arts, Creative Quarterly, Juxtapoz magazine, and the 3x3 International Illustration Directory. Recently, O’Malley finished another cover for Wine Republic, and he’s been working on a series of posters for legendary US rock bands Mudhoney and The Sonics. “Just this week I’m also starting to illustrate another book for Random House UK. I’ve also just recently become represented by Illustration Ltd,” he says.